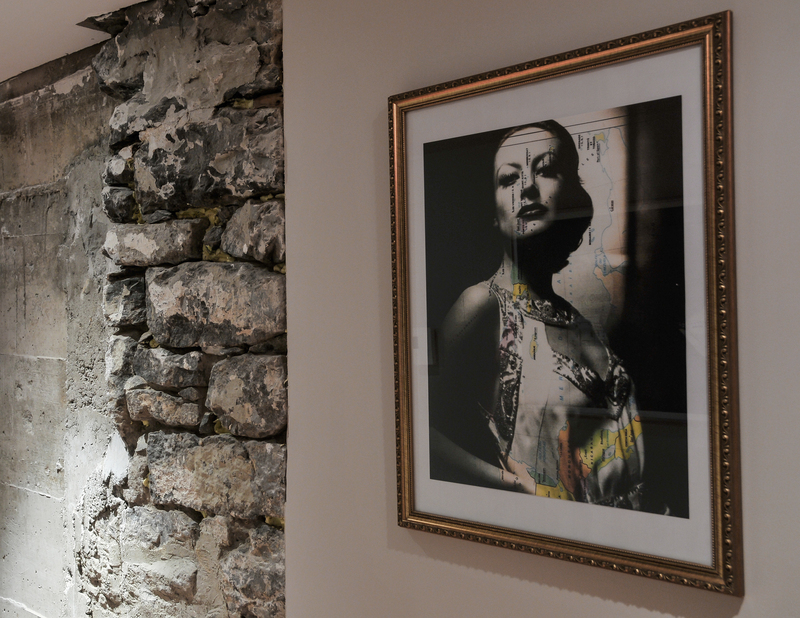 The Salon Petrus is equipped with an electric fireplace with a background music broadcast by Radio-Classique Montréal. For lovers of reading, a library of friends is also at your disposal. The concept is simple, take a book and leave another book. You also have an internet station, put at your disposal to follow your news feed. 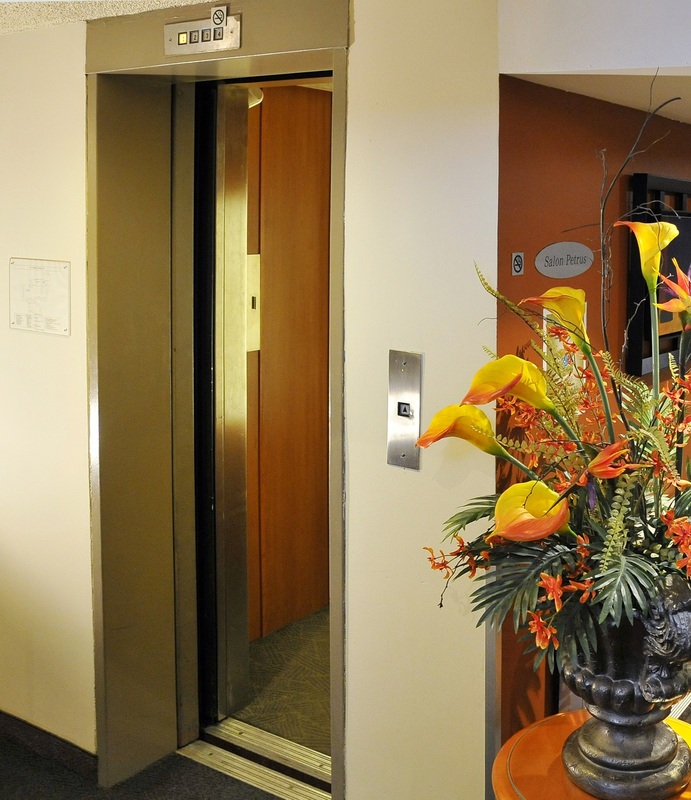 To facilitate your travelling within the hotel, you can choose between the elevator and the staircase. 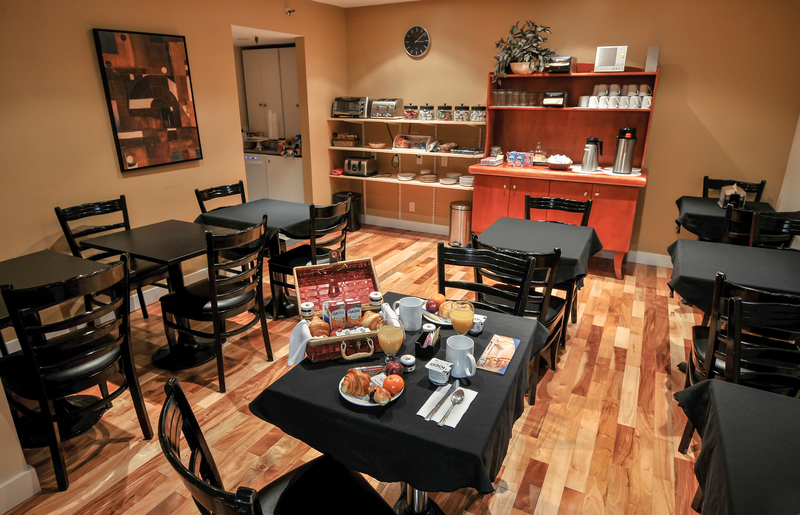 At dawn, you will have the choice to savor your breakfast in the privacy of your room or in our breakfast room. This one takes place in a pretty small basket on the hook outside your room around 6:30 am. 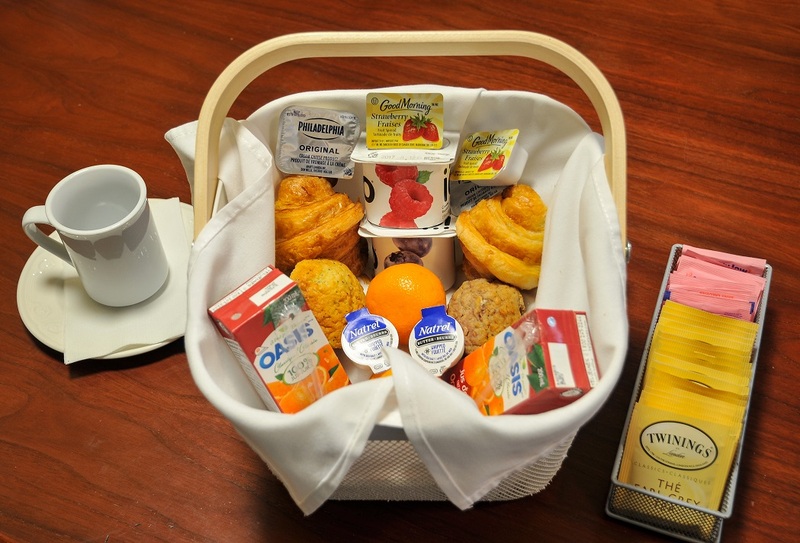 Full of good ingredients: croissant or small loaf, muffins or viennoiseries fresh from the night and from the Ahroma bakery, yogurt, cheese, fruit, jam and butter and orange juice. A coffee station is already in each of the rooms. In the afternoon from 15:00 biscuits, coffee, tea and herbal teas are waiting for you in our common room to fill a small craving and that until 23h00. We also put at your disposal a mini-oven, microwave and a ice machine. Auberge Le Pomerol is proud to offer free high-speed Internet access to all its guests. You also have an Internet station available in the Petrus lounge to follow your news feed. Concierge service is provided by our front desk agent. Enjoy our discounted rates on many tourist and cultural attractions. 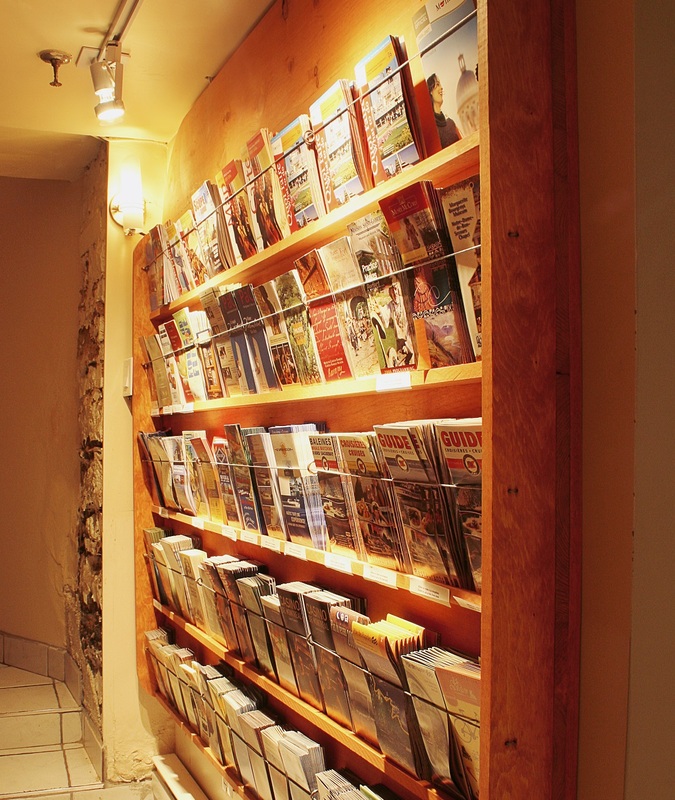 We provide guides, tourist maps and brochures of our partners in display stands installed for this purpose. We also sell various activity tickets at the front desk. Simplify your visit at Montreal with Passeport MTL 48h or 72h. Ask our front desk clerk. 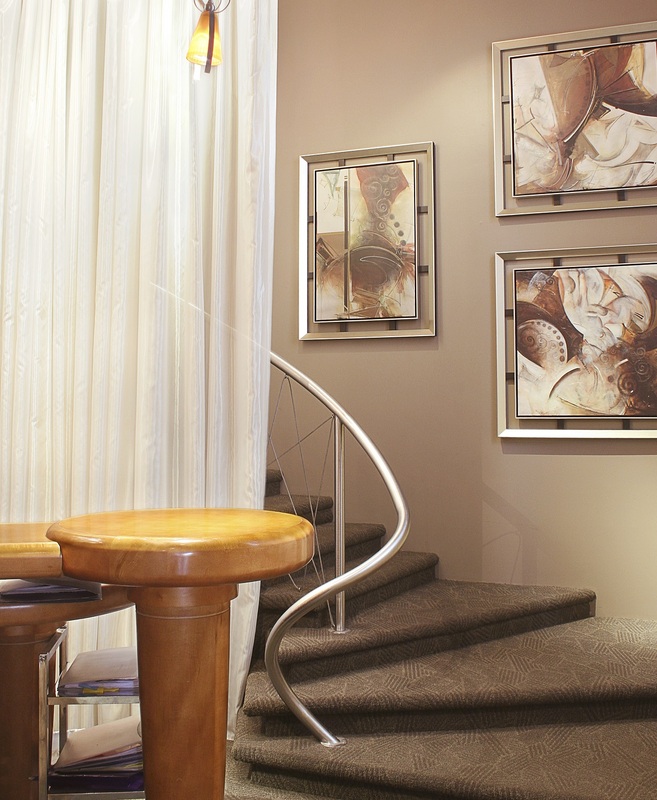 Our agents will be able to adapt to your needs and guide you during your stay in Montreal for a pleasant urban escape. A 15 minutes drop off area is located on the side of the hotel, on St-Christophe street corner Maisonneuve. – Place Dupuis Parking: Located just in front of the hotel, for 22$CA for 24-hours. Extra fees are applicable if you move your car during this duration. – National Library of Montréal (BanQ) Parking: Located on boulevard de Maisonneuve, at two blocks from the hotel, for 17$CA for 24-hours during weeks or 12$CA for 24-hours during week-ends. This parking also provides unlimited in/out access without additionnal fees. Passing in front of the Auberge, La Route verte, a vast cycling route, that reaches all the regions of Québec, which has more than 5000 km of designated trails. The Auberge has a shed where you can safely park your bike. Moreover, if necessary, we a set of tools you can use to repair your bicycle. Customers will be pleased by the large indoor parking but also once inside the Place Dupuis, located in front of the Auberge, that they benefit from exceptional accessibility that connects the complex to the largest connecting station in the Greater Montréal transit system, the city’s 32 km underground pedestrian network and the intercity bus station. To see the list of merchants, click here. We can also plan your trips with you, whether by public transportation or by taxi, ask our front desk staff. Let us take care of the reservation. The fare between the Montreal airport and Auberge Le Pomerol is $ 40 (tip is not included). A safe deposit box is available to allow you to enjoy your day in complete tranquility. 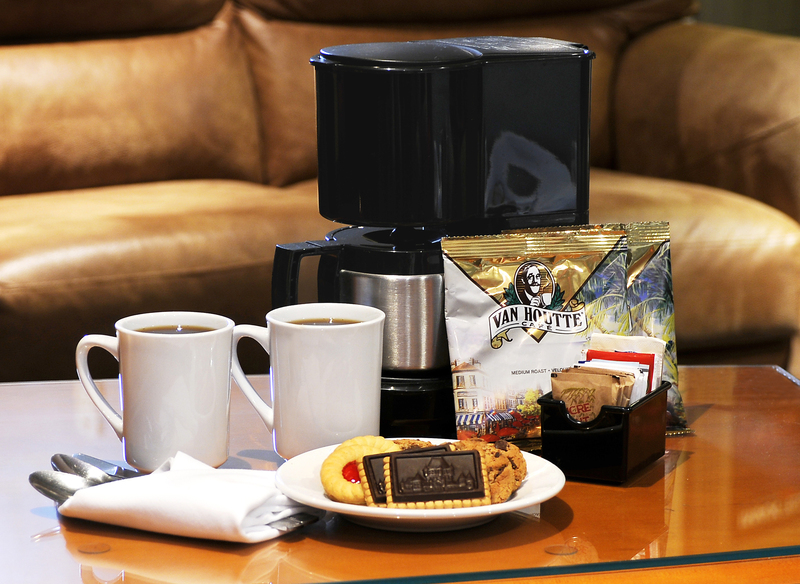 To satisfy a small craving, we put at your disposal in the evening biscuits, coffee, teas and herbal teas.